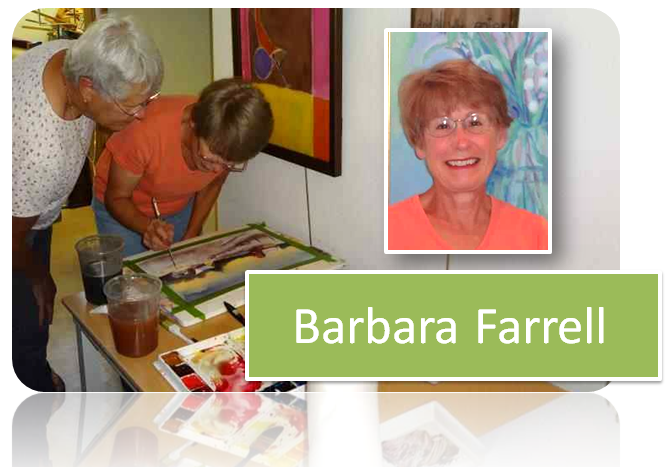 Barbara Farrell is an accomplished, award winning artist with over 30 years of experience in watercolor painting. In addition to teaching at the Clearing, she has given workshops in Northeastern Illinois and Southeastern Wisconsin. A popular demonstrator for Art Leagues , she currently teaches classes for the Kenosha Art Association and the Dear Path Art League in Lake Forest. This entry was posted on September 18, 2012 at 6:17 pm and is filed under ARTISTS, CLASSES, VISUAL ARTISTS. You can follow any responses to this entry through the RSS 2.0 feed.